Want to Set up Business in India? Disclosure: This is not an exhaustive Study and Present only for the General Information of the intended user only. Companies Incorporated Outside India can establish their Liaison Offices in India. To Act as the channel of Communication between its Head Office and Parties in India. Promoting Technical/ financial collaborations between parent/ group companies and Indian companies. As Liaison office is not allowed to undertake any profit making activities hence not liable to Income Tax. Liaison office is required to submit annual activity report from its Chartered Accountant/ CPA to RBI to ensure that it has undertaken only those activities that have been permitted by the RBI. A Liaison office is required to register itself with the Registrar of Companies (ROC) and to comply with certain procedural formalities, as prescribed under the Companies Act 1956. Foreign Insurance Companies can establish liaison offices in India after obtaining necessary approval from the Insurance Regulatory and Development Authority of India. 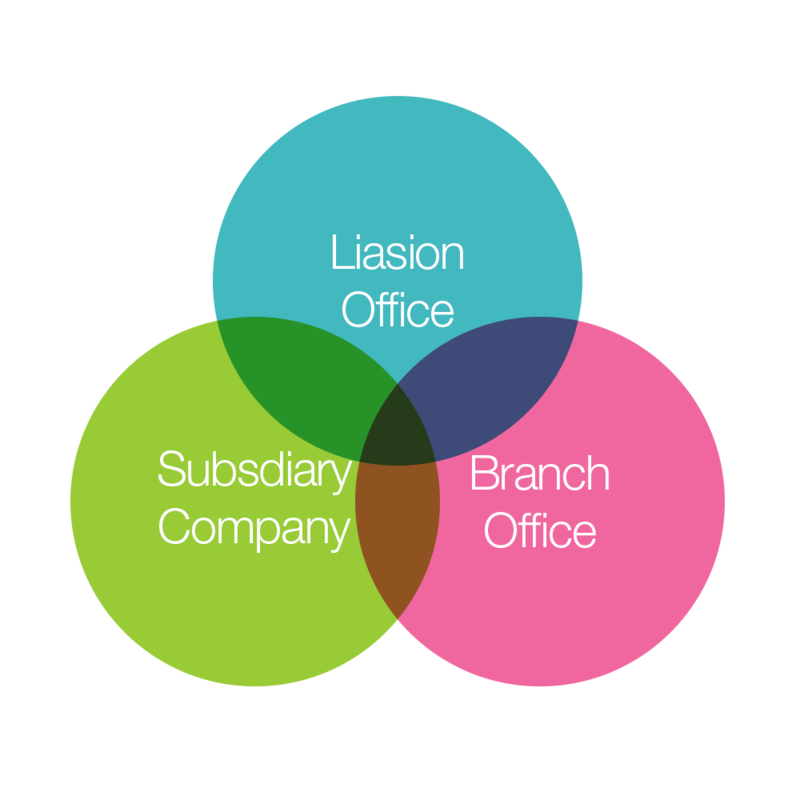 Liaison Office has advantages like easy operations, less formalities and simple closer procedure. Operations of a Liaison office are limited to collection of market information on behalf of the company and providing information about the company and its products to existing/ potential customers. It takes 6-8 weeks to obtain all these approvals after receiving of all the necessary documents. Companies incorporated outside India and engaged in manufacturing or trading activities are allowed to set up a branch office in India with specific approval from Reserve Bank of India to undertake the permitted activities only. Export/ Import of goods. Procurement of Goods for export and sale of goods after import are allowed only on wholesale basis. Rendering of Professional or consultancy services. Carrying out of research work in the areas in which the parent company is engaged. Promoting technical and financial collaborations between Indian Companies and Parent Group Companies. To act as buying/ selling agent in India. Rendering of IT and Software Development Services in India. Rendering Technical Support to the products supplied by the parent/ group companies in India. 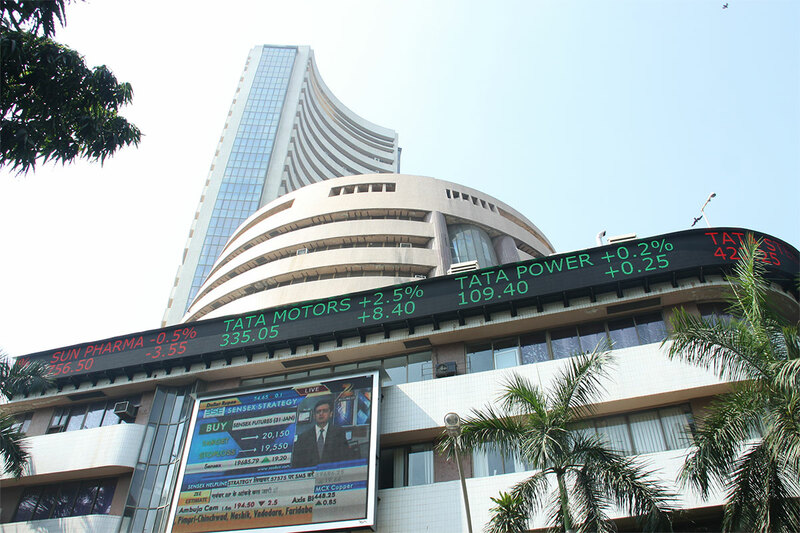 Branches are not allowed to undertake retail trading activities in India of any nature. A Branch office can not carry out any manufacturing and processing activities in India. Branch Office is required to register itself with the Registrar of Companies and to comply with certain procedural formalities. Profits earned by the branches can be freely remitted to Head Office subject to payment of applicable taxes. Branch Offices are required to submit annual activity report from its CA/CPA to RBI. For income tax purposes branch is treated as extension of Foreign Company and on income attributable to business in India is taxable as same of a Foreign Company. Transactions between Branch and Head Office are subject to Transfer Pricing Regulations. Branch Office also has advantages like easy operations, less formalities & simple Exit Procedure. However its operations are restricted and may not provide flexibility in terms of expansion and diversification. Formation Time: 6 to 8 weeks. Foreign entity may set up subsidiary companies in India which can be private or public limited, with or without limited liability. In India companies are incorporated and regulated under the provisions of the companies Act, 1956 and are subjected to certain procedural formalities under the Act. The liability of the members can be limited by shares or guarantee. In the former, the personal liability of member is limited to the amount unpaid on their shares while in the latter; it is limited by a pre-decided amount. For companies with unlimited liability, the liability of its members is unlimited. Subsidiaries can either be wholly owned or in joint venture with some Indian partner, as per RBI (FDI) rules. 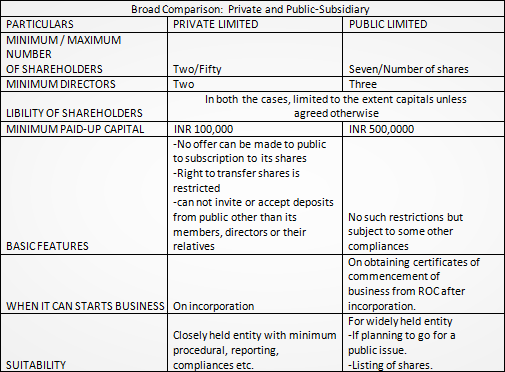 Except in few sectors where foreign direct investment cap is applicable, foreign entity can have 100% subsidiary. It can undertake all types of business activities, as may be permitted by its charter, which may include marketing, manufacturing, providing services, etc. No RBI approval is needed where 100% direct investment is permissible. It is treated as domestic company under Indian tax law and is eligible for all the tax deductions and benefits as provided to any other Indian company. Individual director are required to obtain DIN (Director Unique Identification Number) from the Ministry of Company Affairs. Funding can be in the form of share capital, loans and business operations. Formation time: 3-4 weeks after receipt of the relevant information. Partnership and proprietary concerns set up abroad are not allowed to open branch or liaison offices in India. Indian/domestic companies and foreign companies having offices in India are regulated under the companies Act, 1956. The law requires such entities to file their papers/forms/documents electronically. The directors or the authorized representatives, as the case may be, are required to obtain their digital signature to sign and file e-forms. Unlike subsidiaries others have simple exit route. Foreign entities are required to appoint their representatives in India to receive notices and other communications from the government and other agencies. Subsidiaries enjoy greater flexibility and operational freedom. Branch, liaison and project offices are allowed to open non-interest bearing current account in India. Transfer of assets by branch/liaison offices to subsidiaries or other liaison/branch offices are allowed subject to RBI prior approval. Inter project transfer of funds are allowed, subject to the rules. Union Government of India charges two types of taxes direct and indirect. There are few types of taxes which are the subject matter of State Government and are not material in nature. Direct Taxes are charged on the income or wealth and profits. Indirect Taxes are charged by Union Government on imports/production/sales/services. These are not items of expense but added to the cost of production and recovered from the customers. Indian tax (financial) year starts from 1st April and ends on 31st March of the subsequent year. All tax assesses are required to follow financial year as their tax year but may have different accounting year. All tax assesses are required to obtain unique tax identification number, called Permanent Account Number (PAN). All resident corporate tax assesses are supposed to file their tax returns by 31st September of every year even in the event of loss. Non-resident corporate are also required to file tax returns if they have business entity or office in India or have income from any Indian source, asset, business, etc. Tax rates in India are on the reducing trend. It is charged on the net annual total taxable income which is computed under the provision of Income Tax Act, 1961. Depreciation is allowed as an expense at specified rates on tangible and intangible assets. Losses can be carried forward for set-off. Unabsorbed depreciation can be carried forward for set-off for indefinite period. Subsidiary of a foreign entity is treated as domestic company enjoys minimum corporate tax rates and all other tax exemptions and deductions like any Indian company. Branch/project offices are charged to tax on the profits attributable to it and is treated as an extension of a foreign company and taxed accordingly. It is an extension of Corporate/ Income It intends to bring into tax net, the companies showing profits in their accounts but paying nil or little tax. It is levied if tax liability under the Income Tax Act (taxable profit x applicable tax rates) is lower than 10% of the book profits. Taxable profits means profits as computed under the Income tax Act after granting all eligible deductions and exemptions. Book profits mean (after few adjustments) as per accounts. Scheme of tax credit (MAT minus normal tax) is applicable in India as per the rules. It is levied on the amount paid, declared or distributed as dividend by a domestic It is not payable by Branch or Project office. Once domestic company has paid DDT, dividend received by the shareholders is totally tax free. Wealth tax is payable on the market value of certain assets (basically guest house, motor cars, Boats, aircraft, jewellery, urban land ). Payable @1% (no surcharge and education cess) of the amount by which net wealth exceeds 3 Million INR. While computing net wealth, debts owned in connection with taxable assets are reduced. Permanent Account Number (PAN): Income tax laws requires every assessee to apply and obtain PAN which is a unique tax identification number. Tax Deduction Account Number (TAN): India has tax deduction at source and withholding rules. Every Company, branch and Liaison office while making payments/ expenses is required to deduct tax and deposit it with the Govt. It is a unique tax identification number for withholding purposes. Service Tax Code (STC): It is a PAN based service tax code which every company providing taxable services is required to obtain. Value Added Tax (VAT): The entity is also required to get itself with the VAT Authorities having jurisdiction of premises from where company is making sale. Import Export Number (IEC): This unique number is require before entering into any import or export transactions. Shop and Establishment Act: In most part of the country all assesses engaged in commercial activities need to register themselves to open/ operate from a office.